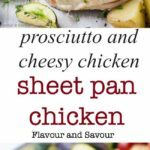 This Prosciutto and Cheesy Chicken Sheet Pan Dinner is unbelievably quick to make! 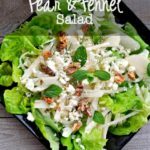 It’s a simple recipe, but has so much flavour and colour, it will look like you’ve spent hours in the kitchen. 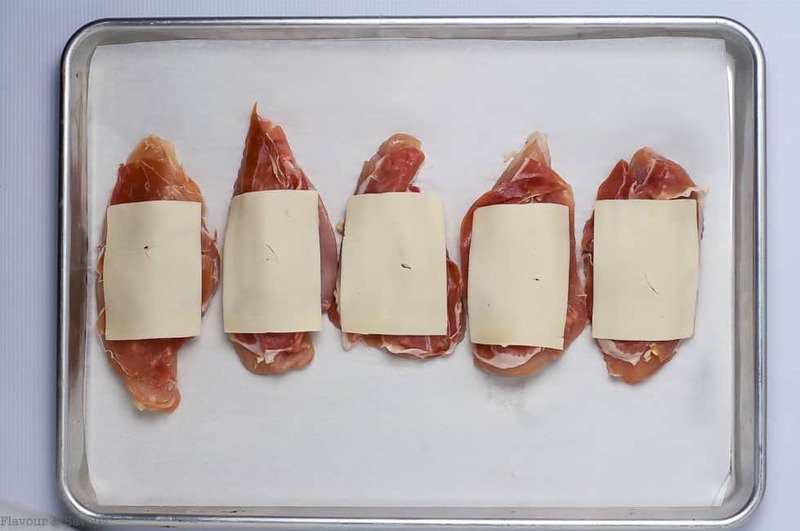 This Prosciutto and Cheesy Chicken Sheet Pan Dinner is a problem-solver. 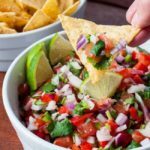 Whether you’re a busy parent with kids in extra-curricular activities or retired, like me, we all want a repertoire of dinners that can be prepared and on the dinner table fast! But more than that, we want to avoid highly processed food and serve our families fresh nutritious meals that taste fabulous. This chicken sheet pan dinner does just that. Problem solved. 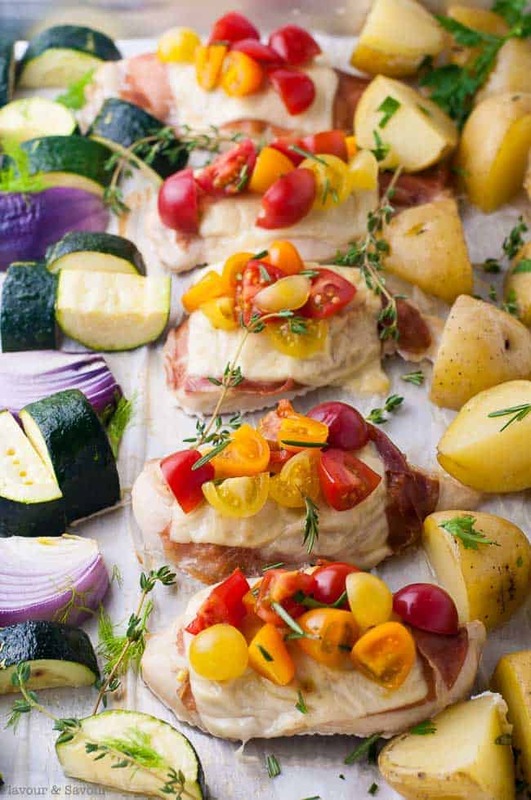 It’s an effortless meal, full of your favourite Italian flavours–cured Italian ham, melty mozzarella, creamy potatoes, zucchini, onion, garlic and fresh cherry tomatoes, topped with herbs and a crowning drizzle of balsamic reduction! So good! 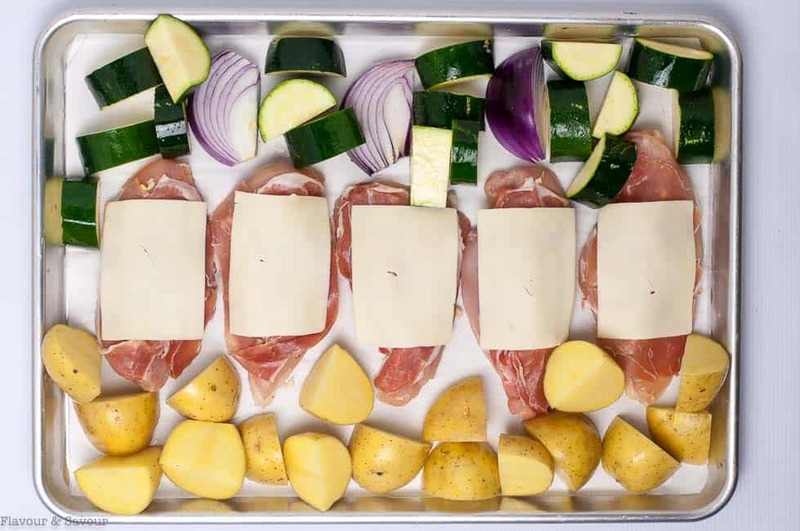 Line a sheet pan with parchment paper for easy clean-up. 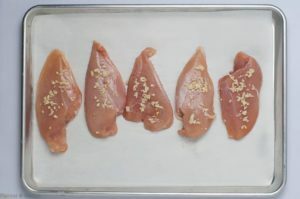 Lay boneless, skinless chicken breast down the middle and sprinkle with minced fresh garlic. Top each chicken breast with a slice of prosciutto and a slice of mozzarella cheese. Surround the chicken with chunky vegetables that will cook in 20 – 25 minutes. I used zucchini and red onion to keep with my Italian flavour theme and added chopped Yukon gold potatoes. I tossed all the vegetables with olive oil, salt and pepper. Once baked, I added halved cherry tomatoes on the top of each cheesy chicken breast, and garnished the sheet pan dinner with fresh parsley, thyme, fennel and rosemary. Although it doesn’t show in the photo, just before serving I topped each chicken breast with a little balsamic drizzle. 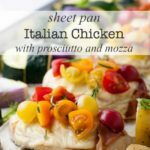 Prosciutto added lots of flavour to this sheet pan dinner, the melted mozzarella held everything together, and the chicken stayed moist and juicy. 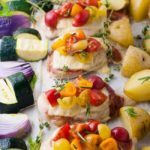 Sheet pan dinners are the answer for those times when you need a wholesome, nutritious supper on the table fast! I have several favourites now, including this Sheet Pan Chicken and Roasted Harvest Vegetables, Hoisin Orange Sheet Pan Chicken and my newest favourite, Thai Chili Sheet Pan Salmon. If you haven’t tried making sheet pan dinners yet, and you love roasted vegetables, (and like easy clean-up) add one of these to your “things to try” list this week! Choose cuts of meat and vegetables that will cook at the same time. For example, when I made Maple Walnut Crusted Sheet Pan Halibut I knew that fish would cook very quickly, so I chose vegetables that would do the same, in this case, thin asparagus spears and thinly sliced sweet potatoes. Likewise, when I made Hoisin Orange Sheet Pan Chicken, I used bone-in skin-on chicken thighs and so I choose thick slices of sweet potatoes that take longer to roast. In this Prosciutto and Cheese Chicken Sheet Pan Dinner, I knew the boneless chicken breast wouldn’t take very long to cook, so I cut the potatoes quite small. 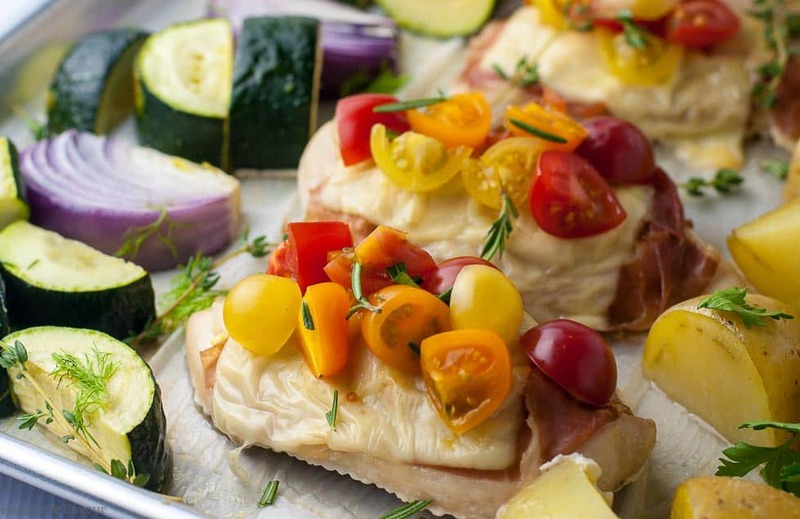 Juicy chicken, warm melted cheese, salty prosciutto and fresh tomatoes and herbs. 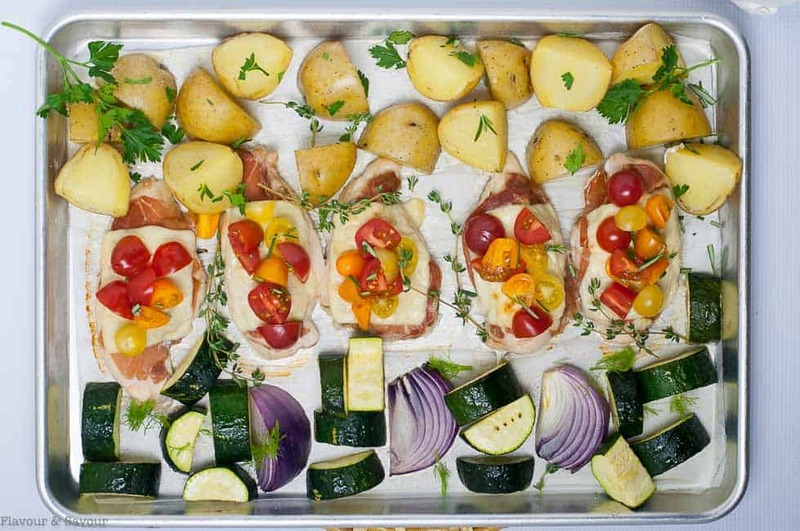 Let this sheet pan supper transport yourself to sunny Tuscany! 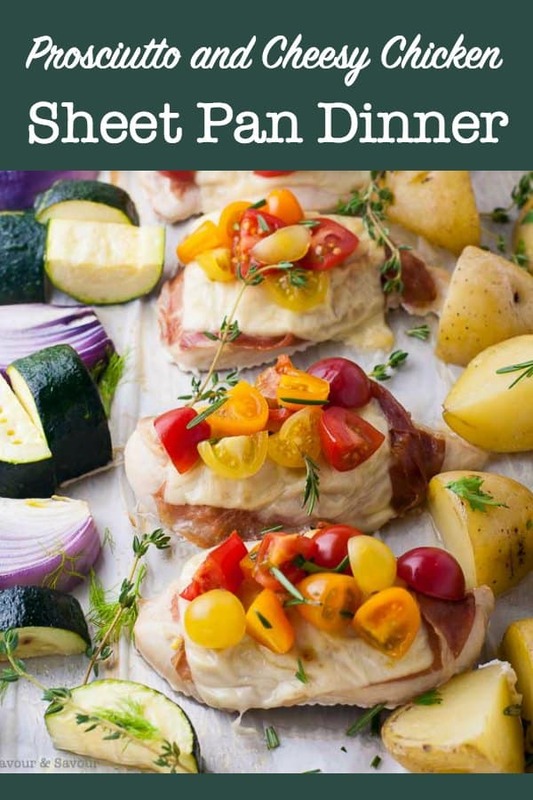 This Prosciutto and Cheesy Chicken Sheet Pan Dinner is almost unbelievably fast! 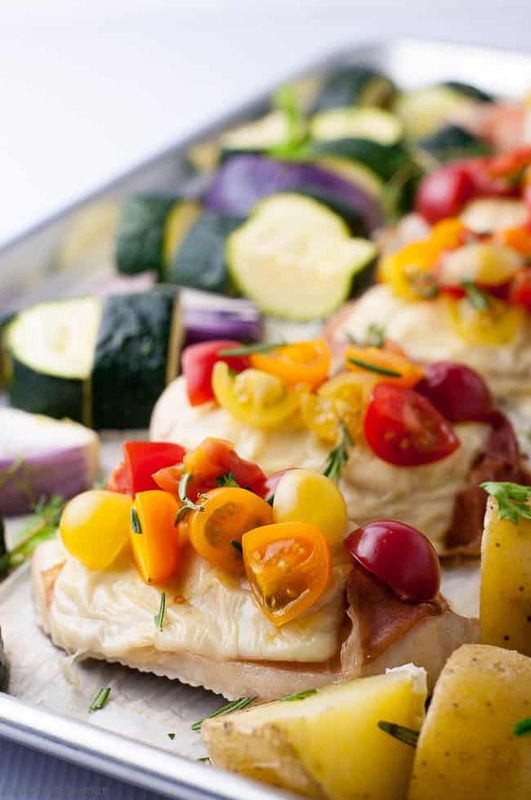 Top boneless skinless chicken breasts with minced garlic, prosciutto and mozzarella, surround with vegetables and bake, all on one sheet pan. 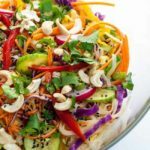 A simple recipe, full of flavour and colour with easy clean-up! Heat oven to 400°F. Line a large rimmed baking sheet pan with parchment paper. 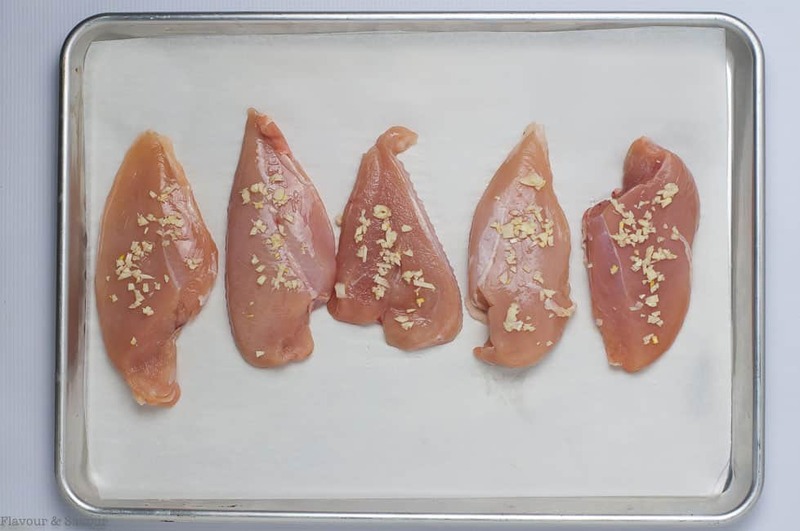 Lay boneless, skinless chicken breasts down the middle of the pan and sprinkle with minced fresh garlic. Choose vegetables that will roast in 20 - 25 minutes, (like chopped Yukon Gold potatoes, red onion and zucchini) and toss with olive oil, salt and pepper. Arrange on the tray around the chicken breasts. Roast at 400°F. for 20 -25 minutes or until the potatoes are fork tender and the chicken has registered an internal temperature of 170°F. 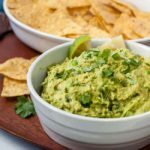 Remove from oven and serve from the tray, or transfer to a serving platter. 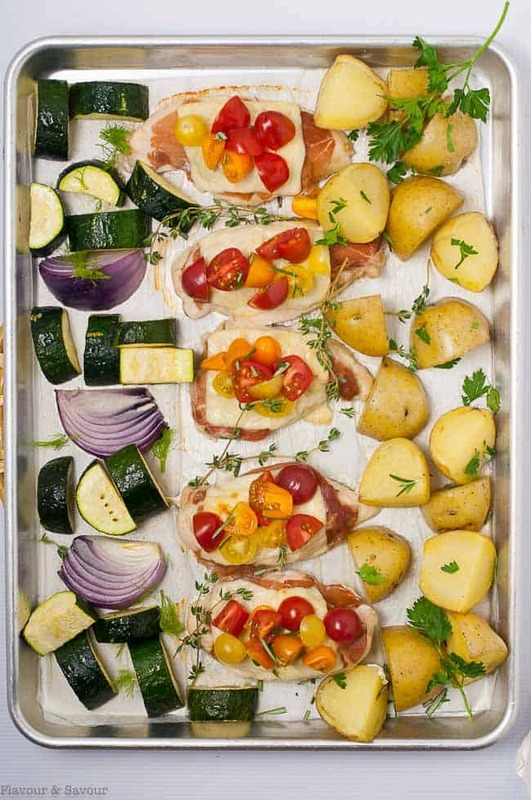 More Sheet Pan Dinner inspiration for you. Thank you Elaine! That was SO delicious and quick. We’ve had it for two nights in a row now. 😉 I’ve forwarded it to both Camilla and Simon. I’m so glad you liked it as much as we did! Thanks so much for letting me know. 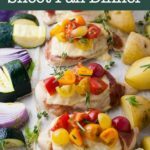 OMG–this sheet pan meal is so tasty and SO easy! My family loved it.